August 17 is the 229th day of the year(230th in leap years) in the Gregorian calendar.There are 136 days remaining until the end of the year. 309/310 – Pope Eusebius is banished by the Emperor Maxentius to Sicily, where he dies, perhaps from a hunger strike. 682 – Pope Leo II begins his pontificate. 986 – Byzantine–Bulgarian wars: Battle of the Gates of Trajan: The Bulgarians under the Comitopuli Samuel and Aron defeat the Byzantine forces at the Gate of Trajan, with Byzantine Emperor Basil II barely escaping. 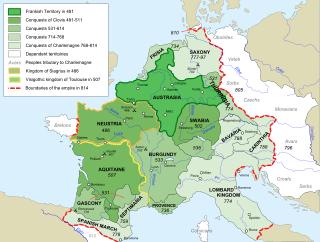 1186 – Georgenberg Pact: Ottokar IV, Duke of Styria and Leopold V, Duke of Austria sign a heritage agreement in which Ottokar gives his duchy to Leopold and to his son Frederick under the stipulation that Austria and Styria would henceforth remain undivided. 1386 – Karl Topia, the ruler of Princedom of Albania forges an alliance with the Republic of Venice, committing to participate in all wars of the Republic and receiving coastal protection against the Ottomans in return. 1424 – Hundred Years' War: Battle of Verneuil: An English force under John, Duke of Bedford defeats a larger French army under Jean II, Duke of Alençon, John Stewart, and Earl Archibald of Douglas. 1498 – Cesare Borgia, son of Pope Alexander VI, becomes the first person in history to resign the cardinalate; later that same day, King Louis XII of France names him Duke of Valentinois. 1549 – Battle of Sampford Courtenay: The Prayer Book Rebellion is quashed in England. 1560 – The Catholic Church is overthrown and Protestantism is established as the national religion in Scotland. 1585 – Eighty Years' War: Siege of Antwerp: Antwerp is captured by Spanish forces under Alexander Farnese, Duke of Parma, who orders Protestants to leave the city and as a result over half of the 100,000 inhabitants flee to the northern provinces. 1585 – A first group of colonists sent by Sir Walter Raleigh under the charge of Ralph Lane lands in the New World to create Roanoke Colony on Roanoke Island, off the coast of present-day North Carolina. 1597 – Islands Voyage: Robert Devereux, 2nd Earl of Essex, and Sir Walter Raleigh set sail on an expedition to the Azores. 1668 – A magnitude 8.0 earthquake causes 8,000 deaths in Anatolia, Ottoman Empire. 1712 – Action of 17 August 1712 New Deep naval battle between Denmark and Sweden. 1717 – Austro-Turkish War of 1716–18: The month-long Siege of Belgrade ends with Prince Eugene of Savoy's Austrian troops capturing the city from the Ottoman Empire. 1723 – Ioan Giurgiu Patachi becomes Bishop of Făgăraș and is festively installed in his position at the St. Nicolas Cathedral in Făgăraș, after being formally confirmed earlier by Pope Clement XI. 1740 – Pope Benedict XIV, previously known as Prospero Lambertini, succeeds Clement XII as the 247th Pope. 1784 – Classical composer Luigi Boccherini receives a pay rise of 12000 reals from his employer, the Infante Luis, Count of Chinchón. 1798 – The Vietnamese Catholics report a Marian apparition in Quảng Trị, an event which is called Our Lady of La Vang. 1807 – Robert Fulton's North River Steamboat leaves New York City for Albany, New York, on the Hudson River, inaugurating the first commercial steamboat service in the world. 1862 – American Indian Wars: The Dakota War of 1862 begins in Minnesota as Dakota warriors attack white settlements along the Minnesota River. 1862 – American Civil War: Major General J. E. B. Stuart is assigned command of all the cavalry of the Confederate Army of Northern Virginia. 1864 – American Civil War: Battle of Gainesville: Confederate forces defeat Union troops near Gainesville, Florida. 1866 – The Grand Duchy of Baden announces her withdrawal from the German Confederation and signs a treaty of peace and alliance with Prussia. 1883 – The first public performance of the Dominican Republic's national anthem, Himno Nacional . 1896 – Bridget Driscoll became the first recorded case of a pedestrian killed in a collision with a motor car in the United Kingdom. 1907 – Pike Place Market, a popular tourist destination and registered historic district in Seattle, opened. 1908 – Fantasmagorie , the first animated cartoon, created by Émile Cohl, is shown in Paris, France. 1914 – World War I: Battle of Stallupönen: The German army of General Hermann von François defeats the Russian force commanded by Paul von Rennenkampf near modern-day Nesterov, Russia. 1915 – Jewish American Leo Frank is lynched in Marietta, Georgia after a 13-year-old girl is murdered. 1915 – A Category 4 hurricane hits Galveston, Texas with winds at 135 miles per hour (217 km/h). 1916 – World War I: Romania signs a secret treaty with the Entente Powers. According to the treaty, Romania agreed to join the war on the Allied side. 1918 – Bolshevik revolutionary leader Moisei Uritsky is assassinated. 1942 – World War II: U.S. Marines raid the Japanese-held Pacific island of Makin. 1943 – World War II: The U.S. Eighth Air Force suffers the loss of 60 bombers on the Schweinfurt–Regensburg mission. 1943 – World War II: The U.S. Seventh Army under General George S. Patton arrives in Messina, Italy, followed several hours later by the British 8th Army under Field Marshal Bernard Montgomery, thus completing the Allied conquest of Sicily. 1943 – World War II: The Royal Air Force begins Operation Hydra, the first air raid of the Operation Crossbow strategic bombing campaign against Germany's V-weapon program. 1945 – Sukarno and Mohammad Hatta proclaim the independence of Indonesia, igniting the Indonesian National Revolution against the Dutch Empire. 1945 – The novella Animal Farm by George Orwell is first published. 1947 – The Radcliffe Line, the border between the Dominions of India and Pakistan, is revealed. 1953 – Addiction: First meeting of Narcotics Anonymous takes place, in Southern California. 1958 – Pioneer 0 , America's first attempt at lunar orbit, is launched using the first Thor-Able rocket and fails. Notable as one of the first attempted launches beyond Earth orbit by any country. 1959 – Quake Lake is formed by the magnitude 7.5 1959 Hebgen Lake earthquake near Hebgen Lake in Montana. 1962 – Peter Fechter is shot and bleeds to death while trying to cross the new Berlin Wall. 1969 – Category 5 Hurricane Camille hits the U.S. Gulf Coast, killing 256 and causing $1.42 billion in damage. 1970 – Venera program: Venera 7 launched. It will later become the first spacecraft to successfully transmit data from the surface of another planet (Venus). 1977 – The Soviet icebreaker Arktika becomes the first surface ship to reach the North Pole. 1978 – Double Eagle II becomes first balloon to cross the Atlantic Ocean when it lands in Miserey, France near Paris, 137 hours after leaving Presque Isle, Maine. 1988 – President of Pakistan Muhammad Zia-ul-Haq and U.S. Ambassador Arnold Raphel are killed in a plane crash. 1991 – Strathfield massacre: In Sydney, New South Wales, Australia, taxi driver Wade Frankum shoots seven people and injures six others before turning the gun on himself. 1998 – Lewinsky scandal: US President Bill Clinton admits in taped testimony that he had an "improper physical relationship" with White House intern Monica Lewinsky; later that same day he admits before the nation that he "misled people" about the relationship. 1999 – The 7.6 Mw  İzmit earthquake shakes northwestern Turkey with a maximum Mercalli intensity of IX (Violent), leaving 17,118–17,127 dead and 43,953–50,000 injured. 2004 – The National Assembly of Serbia unanimously adopts new state symbols for Serbia: Bože pravde becomes the new anthem and the coat of arms is adopted for the whole country. 2005 – The first forced evacuation of settlers, as part of Israeli disengagement from Gaza, starts. 2008 – American swimmer Michael Phelps becomes the first person to win eight gold medals at one Olympic Games. 2009 – An accident at the Sayano–Shushenskaya Dam in Khakassia, Russia, kills 75 and shuts down the hydroelectric power station, leading to widespread power failure in the local area. 2015 – A bomb explodes near the Erawan Shrine in Bangkok, Thailand, killing at least 19 people and injuring 123 others. 2017 – Barcelona attacks: A van is driven into pedestrians in La Rambla, killing 14 and injuring at least 100. Year 309 (CCCIX) was a common year starting on Saturday of the Julian calendar. At the time, it was known as the Year of the Consulship of Licinianus and Constantius. The denomination 309 for this year has been used since the early medieval period, when the Anno Domini calendar era became the prevalent method in Europe for naming years. Year 310 (CCCX) was a common year starting on Sunday of the Julian calendar. At the time, it was known as the Year of the Consulship of Andronicus and Probus. The denomination 310 for this year has been used since the early medieval period, when the Anno Domini calendar era became the prevalent method in Europe for naming years. Pope Eusebius was the Bishop of Rome from 18 April 310 until his death four months later. 1936 – Margaret Heafield Hamilton, American computer scientist, systems engineer, and business owner. Year 1153 (MCLIII) was a common year starting on Thursday of the Julian calendar. William was the first son of Henry II, King of England and Eleanor of Aquitaine. He was born in Normandy on the same day that his father's rival, Eustace IV of Boulogne, died. Year 1465 (MCDLXV) was a common year starting on Tuesday of the Julian calendar. Year 754 (DCCLIV) was a common year starting on Tuesday of the Julian calendar. The denomination 754 for this year has been used since the early medieval period, when the Anno Domini calendar era became the prevalent method in Europe for naming years. Saint Hyacinth, O.P., was a priest that worked to reform women's monasteries in his native Poland. He was a Doctor of Sacred Studies, educated in Paris and Bologna. Saint Fr. Jacobo Kyushei Gorobioye Tomonaga de Santa María was a Japanese Dominican priest. He composed one of the first modern Japanese dictionaries. 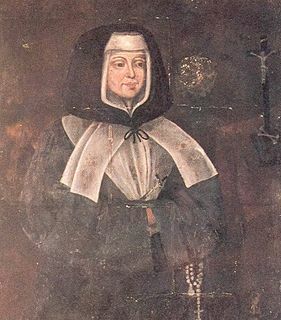 Saint Jeanne Delanoue is a saint in the Roman Catholic Church from France and founder of the Congregation of St. Anne of Providence. Independence Day, celebrates the independence proclamation of Indonesia from Japan in 1945. Independence Day, celebrates the independence of Gabon from France in 1960. Saint Clare of Montefalco, also called Saint Clare of the Cross, was an Augustinian nun and abbess. Before becoming a nun, St. Clare was a member of the Third Order of St. Francis (Secular). She was canonized by Pope Leo XIII on December 8, 1881. Donatus was a Benedictine monk. He was born in Ripacandida, Italy. He became a Benedictine in 1194, at Petina, Italy. November 23 is the 327th day of the year in the Gregorian calendar. There are 38 days remaining until the end of the year. Wikimedia Commons has media related to August 17 .